Ms. Sarita Agarwal, is an alumnus of SIBM, Pune ( 2001 Batch ) and currently the Managing Director Nebula Personalization Tech Solutions Pvt. Ltd, co-founded her venture Nebula Personalization Tech Solutions Private Limited in 2010. 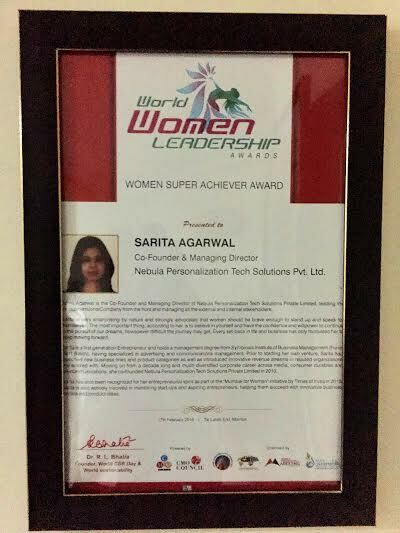 I feel happy to share with all of you that Ms. Sarita Agarwal is the recipient of the “WOMEN SUPER ACHIEVER AWARD” at the WORLD WOMEN LEADERSHIP CONGRESS & AWARDS (WWLCA) 2016, held on 17th Feb 2016 at Mumbai. The objective of the WWLCA is to identify and celebrate the outstanding leadership and achievements demonstrated by Women leaders who are reflected by their distinct innovations and initiatives brought in by them in various private and public sectors.The Award is conferred to the “Outstanding Women Professionals who have the vision, flair, acumen and professionalism to demonstrate their excellent leadership and management skills in an organization / institution, making changes and achieving results”. 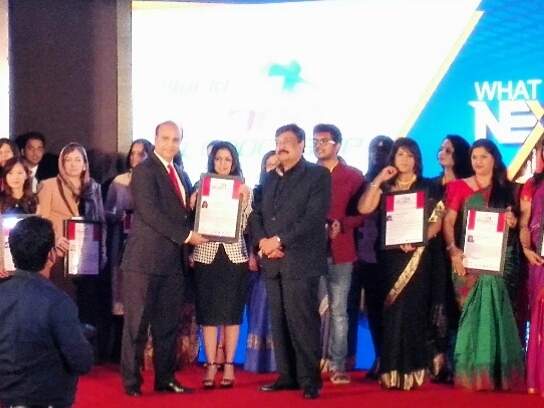 SIBM Pune Alumnus gets WOMEN SUPER ACHIEVER AWARD 5 out of 5 based on 1 ratings. 1 user reviews.